We all are using Opera browser for ages now. Back in the month of April, the company had announced its all-new installment in the browser category known as the Opera Touch. This browser is specifically designed for the users who prefer one-handed usage. From the time of unveiling the browser, it was only available for the Android platform. And now the Opera Touch browser is available for iOS platform as well. Opera Touch allows a user to search faster from the starting page. Almost all needed features are clubbed together and can be used easily. It is an end-to-end encrypted flow where you can share multiple files including video, images, audio, documents, etc easily. The browser works in a way that it even allows you to access the tabs from your Opera PC browser on the mobile browser’s home screen. For saving your precious time the browser comes with an in-built Ad-blocker feature which can block useless pop-ups with an ease. Your most visited websites will be automatically added to the browser’s home screen which again helps in saving your time. The browser can be easily downloaded through Apple’s own App Store for free. 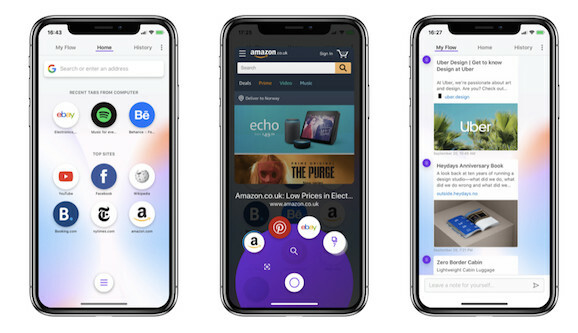 According to Maciej Kocemba(Opera Touch Product Manager), this browser can easily adapt with the new and beautiful displays of the iPhone XS-series and XR. For more tech updates stay tuned to Installornot.